One of the more unstable issues for universities and Olympic organizations is the relationship they have with students. University students are mavericks and cannot be silenced or easily manipulated. They almost single handedly brought the powerful recording industry to its knees and are doing the same thing with the movie business. University students are the best communicators of our era. When they have something to say they can reach millions in a nanosecond, and they do. Young people also innocently break the rules because they don't know the rules. They are not handcuffed by decorum. When they see something is not right they automatically act to correct the situation. 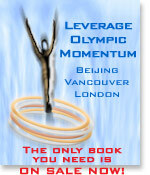 Olympic organizations do things for a reason, and often the reason is not obvious. They cannot abide by partners who shoot from the hip, and as we all know, university students can outdraw almost anyone. They are the most feared guns for hire in the technological world because they act impulsively and are not necessarily motivated by profit. Sometimes they kill just to watch it die, or to brag about it later. Olympic organizations are masters at burying information and university students are masters at setting information free. University students also know that in order to beat an enemy it helps to undermine their presence in the market. They learned that lesson through MP3 files and peer-to-peer networking. Napster, KaZaa, Grokster, and BitTorrent would have never taken off if it weren't for university students. Forcing university students to comply through a written agreement is almost impossible, but suckling them creates a relationship that borders on maternal. 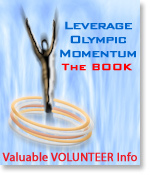 * We invested over three years and a six-figure budget researching Olympic organizations' relationships with sponsors, contractors, suppliers, partners, etc. The results surprised us too. Click below . . . If you have to pay for it?